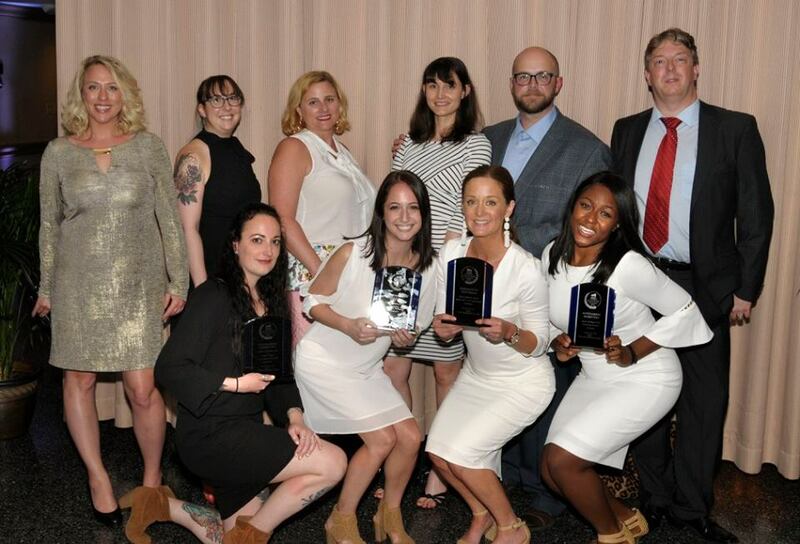 One of our favorite nights of the year has always been the MBIA Maryland Awards of Excellence (more fondly known as the MAX Awards). Not only do we get to help acknowledge standouts in design, product, and sales and marketing categories across the home building industry, but we get to see old friends, meet new, and celebrate the hard work of the entire ONeil Interactive team. 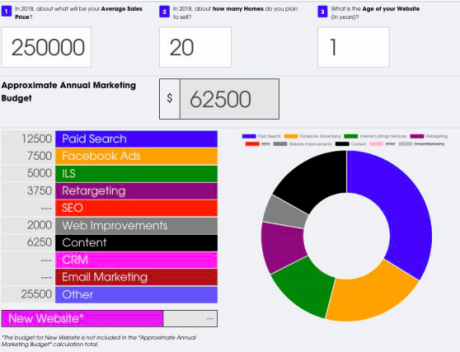 One of the most common questions builders ask the ONeil Interactive team is “how much should I spend on my annual marketing plan?” So we designed and developed a formula to help guide builders on how much they should be earmarking for marketing overall and what initiatives should take priority while deliberating these dollar allocation decisions. By answering a few simple questions regarding volume, average sales price, and website age, the budget calculator provides spending recommendations tailored to these differentiating qualities. The resulting numbers are a suggestion on the digital strategies a builder should be considering first and the anticipated cost for each line item. We welcome builders to take advantage of this budget calculator as well as all the marketing tools we have to offer on the Resources page of our website. We spend the bulk of our time singing the praises of our clients, leaving little room for self-promotion. However, while our creative portfolio has grown exponentially over the years, the collection and presentation of this design work needed an upgrade to fully represent our evolution as a digital-first, full-service agency. What better way to share our creative journey than with a beautifully bound, hard-cover brochure?! This version of the ONeil Interactive story demonstrates both the outstanding digital design that we’ve become known for, as well as the traditional creative marketing work we’ve grown to love. Pairing stunning visual representations of our favorite projects with a sprinkling of some of our beloved marketing mottos, made for a perfect portfolio piece to share with existing and future clients. ONeil Interactive decided it was time for builder websites to generate the kind of analytics that builders actually care about. It’s nice to talk about metrics like “time on site” and “pages per visit,” but those are metrics that measure the performance of the builder’s website, not their product. Homefiniti’s weekly email report includes market intelligence that helps identify swings and trends in the interest of a builder’s potential consumers. The email lands in the inbox of home builders every Monday and includes some key data points. These weekly measurements help home builders understand how shoppers engage with their product, not their website. Information like this helps to direct future product choices, ideal price points, and even desirable square footage. Homefiniti’s market intelligence email has reimagined what analytics can be for homebuilders. Forty West Builders is known in our industry for the personalized experience they provide their home buyers. However, it’s the long list of luxury included features and estate sized lots that usually get all the attention from home buyers. When Forty West decided to host an open house at their Legacy Farms community in Westminster, they wanted to let all the surrounding neighborhoods know that bigger backyards are just better. These beautiful, single family homes sit on large homesites offering a place to spread out and a bit of privacy from your neighbors that no other community in the area could compete with. 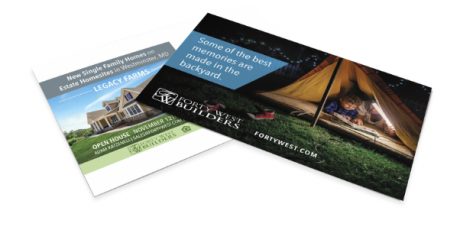 We used warm, lifestyle imagery of families enjoying their outdoor spaces and tagged the postcard with a headline of Memories are Made in the Backyard to remind recipients that an upgraded lifestyle may be closer than they think. We’d like to congratulate all the MAX 2017 winners. 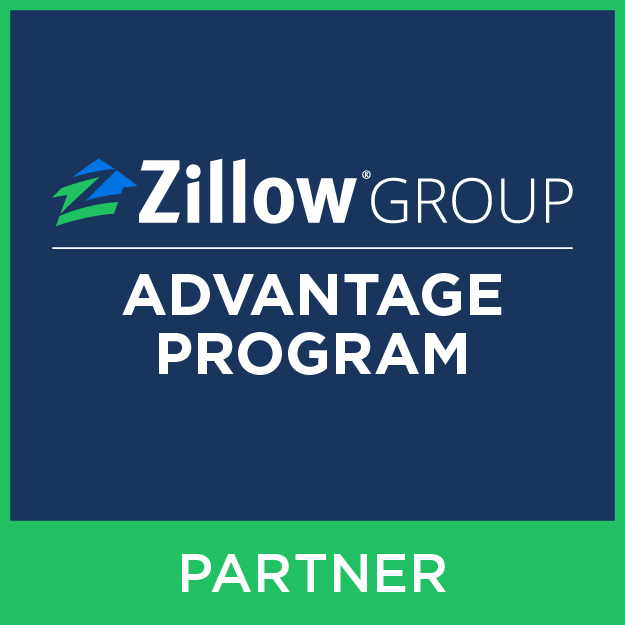 It makes us so proud to associate with some of the best in the biz! A special thanks to the MBIA’s Sales & Marketing Council and the MAX committee for hosting such a fabulous event. For a full list of award recipients visit the MBIA website. See you next year!